Well done, you’ve made the crucial first step on your journey to purchasing, leasing or renting a cardboard baler. Perhaps you’ve landed on this page after reading Part One, or maybe you’ve arrived here from Google as you’ve been frantically trying to work out which cardboard baler is best for you. By doing thorough research, you are far more likely to end up with a machine suited to your needs, and not a piece of equipment that cannot handle your waste output, or exceeds it to the point that you are overpaying. 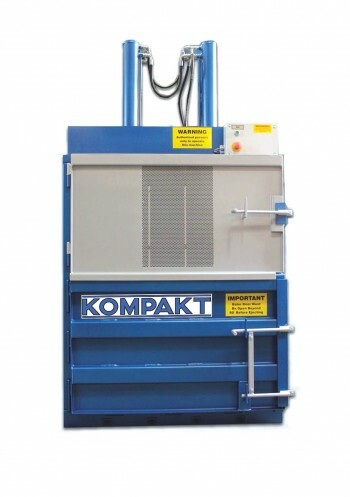 In Part One we looked at the KM Range of cardboard balers, and in the guide we will look at the remaining 6 of our 11 machines that are perfect for tackling cardboard waste. You can click the machine names to open their respective product pages in new tabs. When you’re looking to ease yourself into a waste management system and strategy, it’s a good idea to start small and work your way up (unless you already have a large waste output!). The PE60 plugs straight into a normal plug socket and can make perfect compact bales between 50kgs and 175kgs in size. Recommended: For restaurants, bars, hotels and small warehouses. Medium sized balers don’t come much better than the PE160, which creates super-compact bales of around 140-170kgs. Distribution centres, warehouses and manufacturers would really benefit from recycling equipment of this nature, which is really easy to install and works on a normal 240v wall socket. 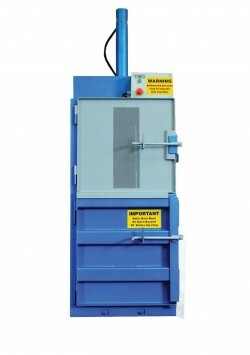 Built in the UK with high quality parts, this is one of our most popular machines. Recommended: For businesses who need to bale shrink wrap or cardboard in medium to large quantities. Designed with large businesses in mind, the PE550 was created to produce mill size bales which can be anywhere between 500-600kgs! Recycling centres, waste management companies, skip hire businesses and large factories can all benefit from this equipment. Mill sized bales are the ideal size for onward sale of recyclable materials (like cardboard and plastic), which means that these machines are ideal for helping you turn waste into a profit. This machine will need to be fitted by an electrician, such is the immense power that it contains, however, once installed they are really easy to use, and we will provide free full training on site. Recommended: These machines can be leased, rented or purchased outright. Talk to an account manager today to see which option is best for you. If your business handles a medium volume of waste in multiple streams, it’s possible that machine is ideal for you. Cardboard and plastic packaging waste can be baled into approximately 200kg bales that can sold back to recycling companies to earn rebates. 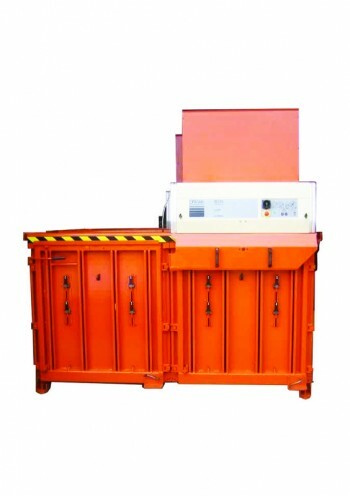 With a top loading access point, this machine is very easy and safe to use. Recommended: For factories, warehouses and distribution centres. Do you like the idea of the PE-TC200, but don’t think your waste output would require such a large piece of recycling equipment? 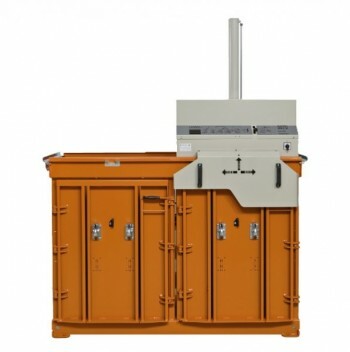 Perhaps the PE-TC70 is better suited to your needs. 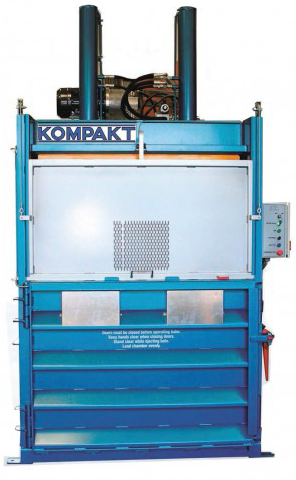 This machine creates 70kg bales that are easily moved around with the trolley provided and can be sold on to recycling companies to earn rebates and improve recycling rates. Recommended: Small businesses to produce waste plastic and cardboard packaging. We’ve saved this machine until last, because technically it’s not a baler, it’s a compactor. The 1100E could be a truly useful addition to your business, especially if you are a retailer or a restaurant, with a low to medium level of waste output. 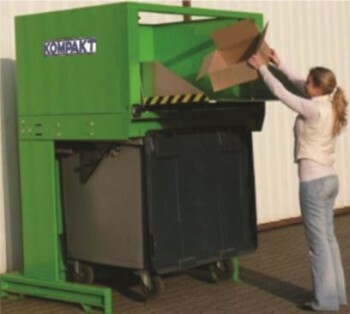 Whilst this piece of recycling equipment can be effectively used to compact cardboard, you may be pleased to know that it can also be used for general waste and plastic too. Simply push your wheelie bin under the compactor and it will compress the waste to 1/6th of the size! It’s possible that this machine may be better suited to your needs, so we encourage you to call one of our account managers today and find out. Recommended: If you have more than 4 wheelie bin uplifts per week.